Ocean County is strategically situated containing over 40 miles of Atlantic Ocean coastline, the majority of the 660 square mile Barnegat Bay Watershed, and a significant portion of the Pinelands National Reserve. For planning to be comprehensive, the County needs to be flexible and able to withstand hazards of many kinds. Resiliency includes the flexibility to withstand and recover from natural or man-made disasters including flooding, hurricanes, wild fires, droughts, power outages and economic collapse. The Hazard Mitigation Plan is required by state & federal agencies in order for communities in Ocean County to be eligible for certain types of state & federal disaster relief funds after a disaster occurs. 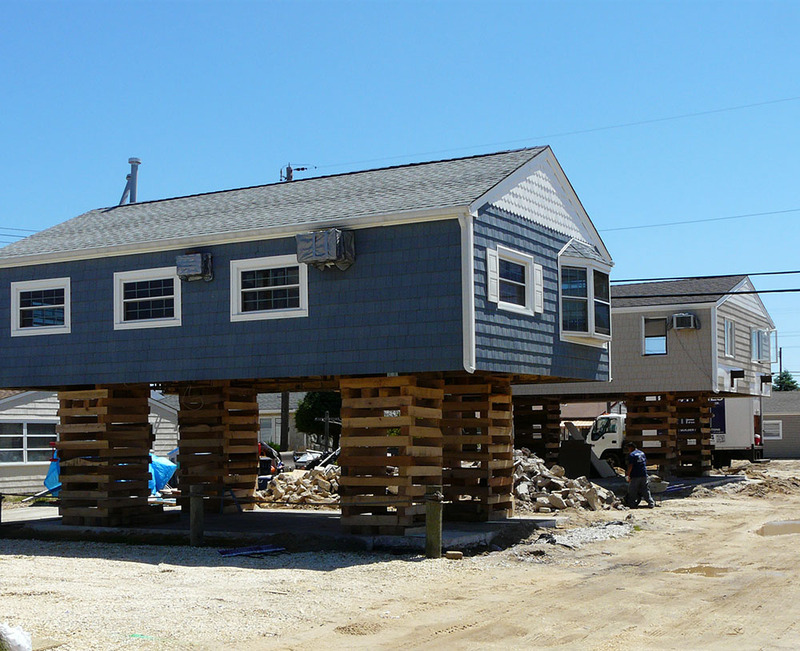 In 2014 Ocean County adopted its first Multi-Jurisdictional All Hazards Mitigation Plan. These Hazard Mitigation Plans (HMP) also provide jurisdictions the opportunity to apply for grant funding for projects identified within the plan to upgrade critical facilities and complete important resiliency projects. In February 2015 the Ocean County Long Term Community Recovery Plan was adopted. This plan set a vision for resiliency efforts in Ocean County. The Ocean County Long-Term Community Recovery Plan developed a post-Sandy vision for a year-round community that is environmentally, economically, socially & culturally stronger. Participants developed a set of potential project ideas that will help achieve this vision, including a countywide infrastructure assessment report, a grant advisor program, residential resiliency improvements for all income groups, improvements to the County evacuation plan, and developing countywide tools to support Community Rating System participation. The National Flood Insurance Program (NFIP) provides significant protections to residences in special flood hazard areas. Structures built in areas prone to flooding should always consider purchasing flood insurance regardless if a mortgage holder requires it. The NFIP aims to reduce the impact of flooding on private and public structures. It does so by providing affordable insurance to property owners and by encouraging communities to adopt and enforce floodplain management regulations. These efforts help mitigate the effects of flooding on new and improved structures. Overall, the program reduces the socio-economic impact of disasters by promoting the purchase and retention of general risk insurance, but also of flood insurance, specifically. Ocean County is located within Region 2 of FEMA. For updates on mapping of the Flood Insurance Rate Map (FIRM) and to use associated tools provided, please visit: http://www.region2coastal.com/. The Community Rating System (CRS) is a voluntary program under the NFIP. Participating municipalities provide documentation of activities that are completed beyond the minimum NFIP requirements to obtain credit under the CRS. Based on these credits a municipality is rated and these ratings provide discounts on flood insurance policies across the municipality. In September 2015 the Ocean County Planning Department in collaboration with the Ocean County Sherriff’s OEM held its first Community Rating System Users Group. The OC CRS Users Group meets quarterly to discuss pertinent issues to the NFIP, CRS, and resiliency planning. In order to help Ocean County municipalities participate in the CRS, Ocean County adopted a CRS Assistance Program. Through this program municipalities can leverage County resources to improve their class rating. Know in advance when flooding is forecast by signing up for the Flood Advisory System. Using the system developed by the Stevens Institute’s Davidson Laboratory, residents can get warnings when tidal flooding is forecast within 8 hours prior to the high tide occurring. Simply click here and enter your email where it says “Manage Email Notifications.” Then select the monitoring station(s) near you as your site. The system is currently set up with the ability to email alerts, however, residents can receive the alerts as a text message on their phone by adding their cell as an alternate email. To do this, you must enter your 10-digit cell number followed by the email gateway for your respective carrier (AT&T is @txt.att.net; Sprint is @messaging.sprintpcs.com; T-Mobile is @tmomail.net; Verizon is @vtext.com). Text message rates may apply.